With the Easter holiday period running from this Friday and ending after Easter Monday, it’s crucial that Wairarapa drivers take care on the roads. 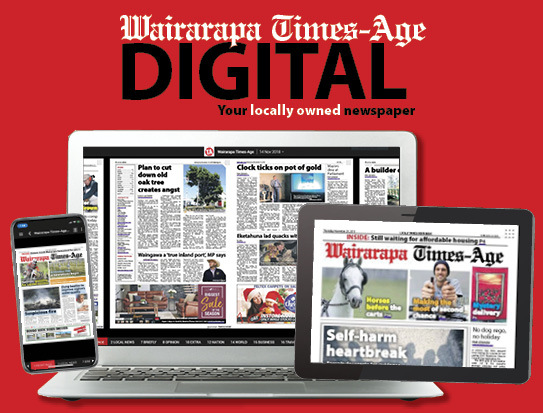 Wairarapa Road Safety Council manager Bruce Pauling discussed travel advice with Midweek editor EMILY IRELAND. Last year, the official Easter period ended with seven people dying on New Zealand roads. There were a further 140 injury crashes, with 45 people sustaining serious life-changing injuries. This Easter, the Wairarapa Road Safety Council wants drivers to ‘get back to the basics’ of safe driving to prevent these tragic crashes from happening. 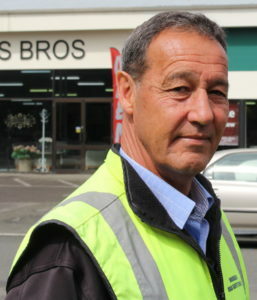 WRCS manager, Bruce Pauling said he wants all Wairarapa drivers to have a great Easter break, and enjoy their travels without any heartache. 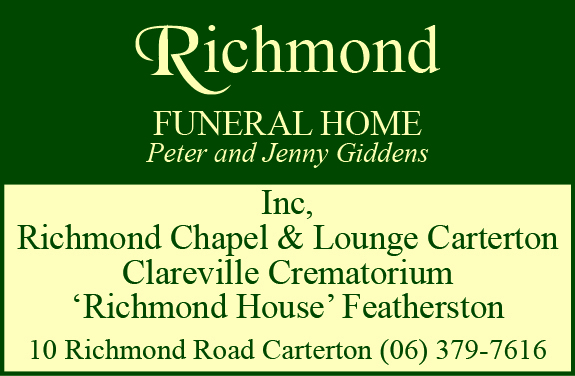 “There’s a danger of complacency and not thinking a bit deeper about the old catch phrases that we have heard for years: ‘drive to the conditions’, ‘don’t be distracted’, ‘drive sober’, and ‘make it click’, are all things we have heard constantly, but the crashes continue. While not rocket science, safe driving is a complex task and needs 100 per cent concentration. 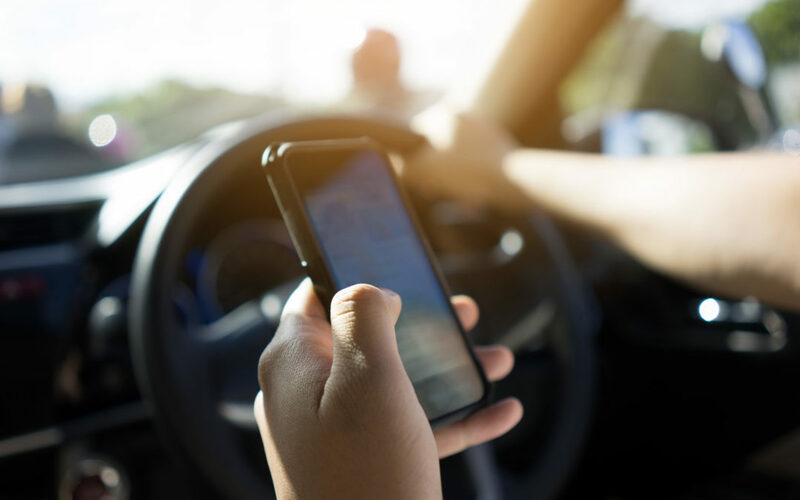 In 2017, distraction resulted in 40 road deaths and 240 serious injuries in New Zealand. Bruce calls mobile phones the “elephant in the room”. “Worldwide, they are a road safety epidemic. “Reading or making a text message at 90kmh, is like driving the length of a rugby field blindfolded. “No one can safely drive and use a phone at the same time. “It is unbelievably dangerous and anyone doing this is putting every other road user at risk. Other distractions include loud music or passengers, changing radio stations, reaching for items and looking at new scenery for too long. A driver taking their eyes off the road for a full two seconds can increase crash risk by up to 24 times. Bruce had hoped by 2019, New Zealand would have slashed its drink and drugged driving crash rate by more than what it is now. “Walking amongst us, there are still folk who choose to get drunk or stoned, and then get in their cars to put lives in danger, and sometimes kill other innocent road users,” he said. “Easter means we get together with friends and family, to eat, drink and be merry – I’m all for it. “But don’t spoil it by risking everything after a few drinks or a couple of joints. Bruce said driving ability could still be affected the next morning after a long night celebrating, “so give yourself up to 12 hours between finishing drinking and then driving”. Legally, drivers under 20 years old have a zero drink drive limit. The legal drink drive limits for drivers 20 years and over are a breath alcohol limit of 250 micrograms of alcohol per litre of breath and a blood alcohol limit of 50mg of alcohol per 100ml of blood. Drivers are constantly faced with changing traffic, road, and weather conditions, so a lot comes into play and they should react accordingly, Bruce said. “Considering the majority of our crashes are ‘tailenders’, we should be following at a safe distance,” he said. Only on Sunday, three vehicles were involved in a pile-up on State Highway 2 near Clareville. Fortunately, there were no injuries. “The law says under normal conditions, to travel two seconds behind the vehicle ahead,” Bruce said. “As it passes the landmark, start counting ‘one thousand and one, one thousand and two’. “If you pass the landmark before youfinish saying those eight words, you are following too closely. In bad weather, when the road is wet or slippery, or when a trailer is being towed, Bruce said drivers needed to increase their following distance to four seconds, “because you’ll take longer to stop if you need to”. Speed is the biggest factor in determining the outcome of a crash. “Just because a road may have a 100kmh speed limit, doesn’t always mean that is the safe speed, especially on rural and unfamiliar roads,” Bruce said. “It is up to you, the driver, to ensure your speed is safe. Bruce said drivers must read and obey signs such as advisory speeds on bends, slippery when wet, or uneven surfaces, narrow or one-way bridges, or roadworks. Driving conditions during a long trip can make drivers tired and severe fatigue has been likened to “a bit like driving drunk” – only, it is not detectable in routine stops by police. Driving while fatigued leads to loss of concentration, the vehicle wandering across the road, speeding, braking too late, and missing seeing important indicators like road signs or traffic ahead coming to a stop. “If not addressed, you can fall asleep, even momentarily, which leads to head-on crashes or running off the road,” Bruce said. For older drivers, “make it click”, has been around for “donkeys”, Bruce said. 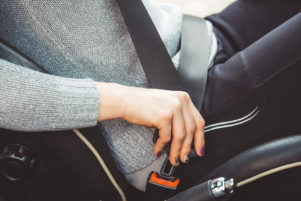 “It’s amazing then that still, around 30 per cent of all vehicle occupant deaths are people not buckled up. The force on seat belts can be as much as 20 times your weight – this is how hard you hit the inside of your vehicle without restraint. “For young drivers, especially the guys who think it’s not ‘cool’ to wear your seatbelt . . . what’s not cool is lying in hospital for months, missing out on things like sports, fishing, or trips with your mates, and maybe living with a lifelong serious injury,” Bruce said. He said it was the driver’s responsibility as well, to ensure that all passengers under 14 years old were restrained correctly. All children aged under seven years old must be secured in an approved child restraint when travelling in cars or vans. “The kids are the most vulnerable, so buckle them up correctly in the correct restraint, and set the example. The Wairarapa Road Safety Council wishes everyone a safe and happy Easter.